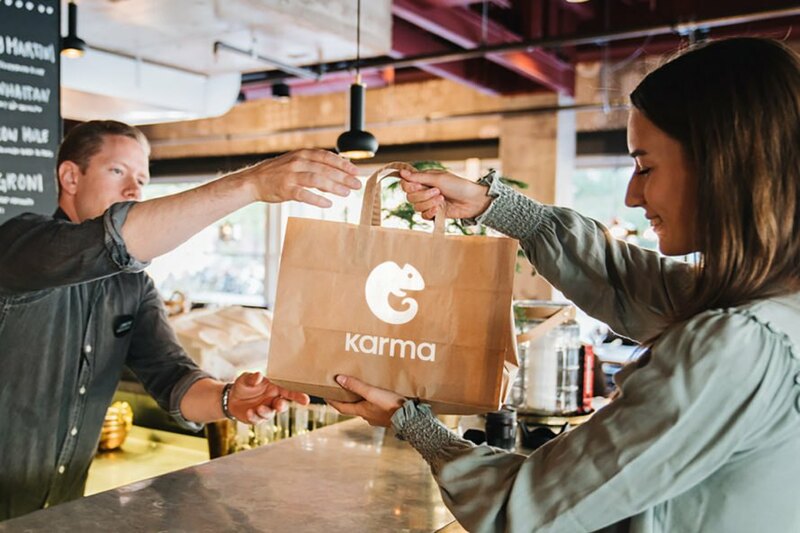 The launch of Karma in Sweden has brought about a new way of fighting food waste. Since 2016, more than 1,500 businesses such as restaurants, bakeries, cafes, and hotels as well as the three largest supermarket chains in Sweden have joined the battle to reduce the amount of perfectly edible food that is thrown away daily. The mobile app offers restaurateurs and retailers the opportunity to sell their otherwise wasted products at a fraction of the original price to hungry Swedes and now Londoners, too. Coming up with the clever solution to a growing food waste crisis quickly became a win-win situation for all involved. Following its February 2018 launch in London, the company projected approximately £30,000 ($39,000) gains in revenue for each of the 400 businesses that agreed to participate in the program, which is offered at no cost or subscription to the businesses. The surplus meals have been met by grateful hands of families that are struggling, both in London — rated the fifth most expensive city in Europe by Money Inc. — as well as Sweden, where the publication reports that a meal for two can easily land you with a €262 ($305) bill. The four food rescuers moved to tackle London, hoping to gain momentum in the capital of a country that has a massive food waste problem. It is estimated that 10 million tons of food are thrown away annually in the U.K. at a cost of £17 billion ($22 billion) to businesses and a priceless expense to the environment. Swedish angel investors noticed the efforts of the company and insisted to help the four founders, who were living very frugally without taking salaries in order to achieve their mission. Ståhlberg Nordegren said, “After living like this for a couple of months, our board of directors forced us to take on a salary of $2,000 per month to make sure we could really focus on the business.” Today, the team has grown to 35 individuals dead-set on resolving the food waste problem in their homelands while slowly branching out into new markets. The company is on track to achieve projected 2018 revenues of €3 million ($3.5 million).